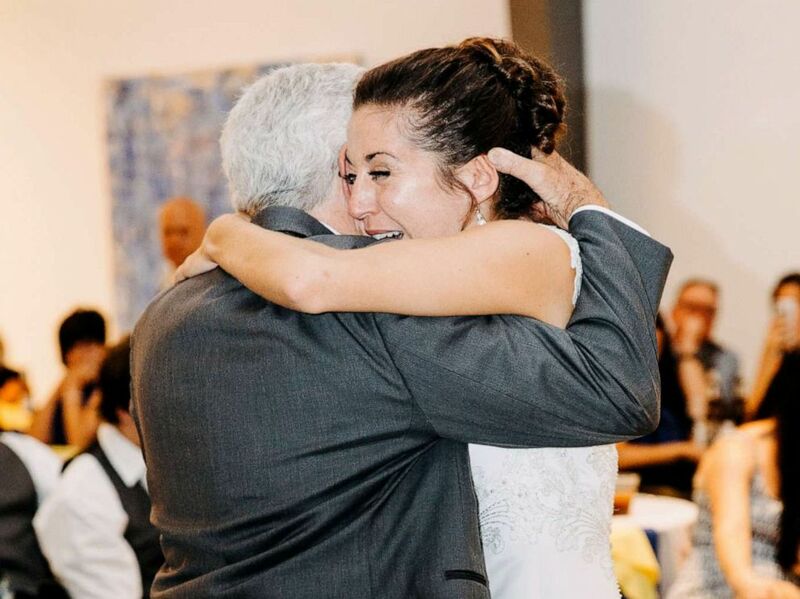 There wasn't a dry eye in the room when a man who overcame paralysis danced with his daughter and walked her down the aisle on her wedding day. Jim Stamp, 70, accompanied Gina Ross down the aisle using his cane before surprising her by ditching it during their father-daughter dance. "He has always been my hero," Ross, 30, of Hawaii, told "Good Morning America." "[W]hile his illness was a frustrating setback it also showed me once again how absolutely strong and determined my dad is. 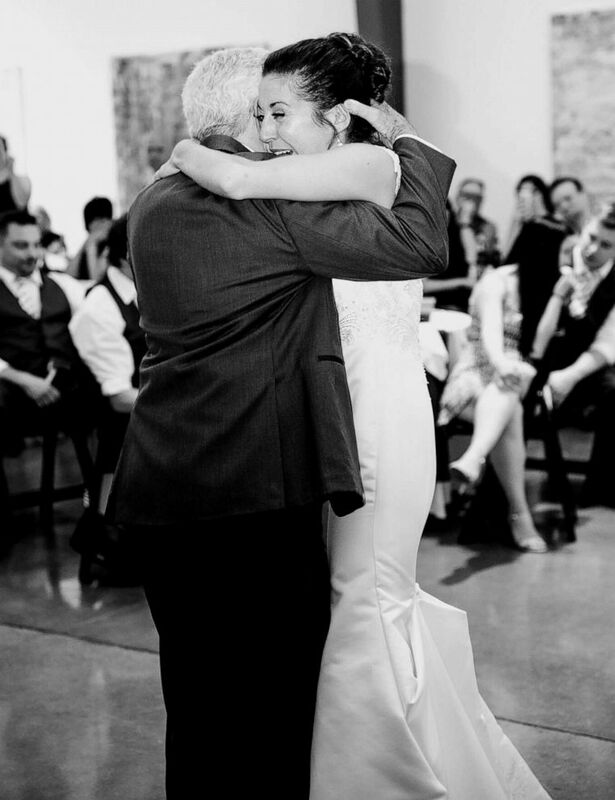 Dancing with him at my wedding was a dream come true after everything that he went through." Jim Stamp, 70, of Colorado, is pictured with his wife Cathy Stamp and daughter, Gina Ross, at Gina's wedding in Denver. Gina and Mark Ross got engaged in 2016, but wedding plans were placed on hold when Jim Stamp, a father of three, was diagnosed with Guillain-Barre Syndrome — a rare neurological disorder in which the body's immune system mistakenly attacks part of its peripheral nervous system, the network of nerves located outside of the brain and spinal cord. "He was paralyzed and in the hospital for about five months and came home in a wheelchair," Jim Stamp's wife, Cathy Stamp, told "GMA." Jim Stamp, 70, of Colorado, was diagnosed with a rare autoimmune disorder that left him paralyzed. Jim Stamp persevered and began using a cane instead of a wheelchair in 2017. 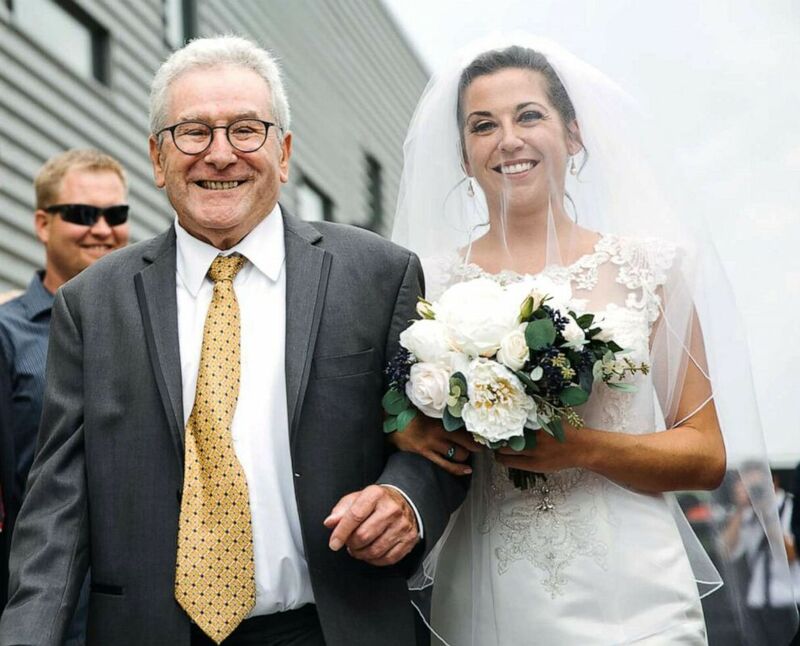 Determined to walk his daughter down the aisle, he continued therapy several times a week at the PEAK Center at Craig Hospital, located in Englewood, Colorado. Gina Ross said she knew her dad was working hard in therapy. "What I didn’t know was that he was working extra hard to surprise me," she added. "I made it very clear to him that I did not care how he got me down the aisle or what our dance looked like. If it meant he was on a walker or in his chair, it didn’t matter." Jim Stamp walked Gina Ross down the aisle with his cane in tow. But when it came time for them to share a dance to "Unforgettable" by Natalie Cole and Nat King Cole, her dad denied any assistance to the dance floor. "[He] stood up independently and we danced together arm-in-arm as I continuously laughed [and] cried in his arms yelling, 'Really? Dad! No cane!'" Gina Ross said. "He told me, 'I didn’t want to tell you in case I couldn’t make it happen, but I wanted to surprise you with this dance.'" Mother of the bride, Cathy Stamp, said she was overwhelmed by special dance. "People were screaming, cheering and crying," Cathy Stamp said. "Everybody there knew what happened with Jim and the struggle to walk again so it was a pretty big moment." Gina Ross' wedding took place in Colorado on Aug. 4, 2018, but Craig Hospital recently shared the joyous moment during a telethon fundraising event. 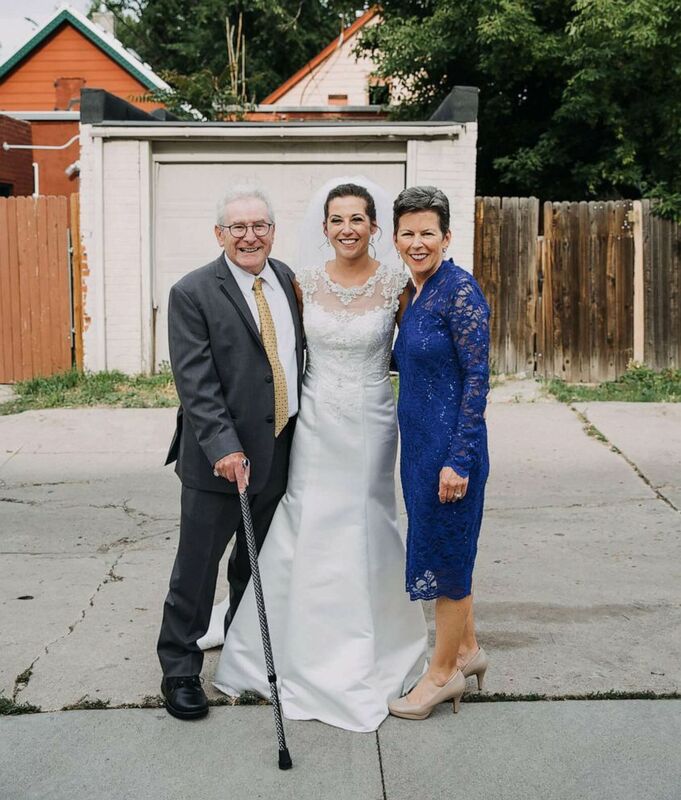 Jim Stamp, 70, of Colorado, who a few years back was diagnosed with a rare autoimmune disorder, ditched his cane to dance with his daughter Gina Ross and walk her down the aisle on her wedding day.